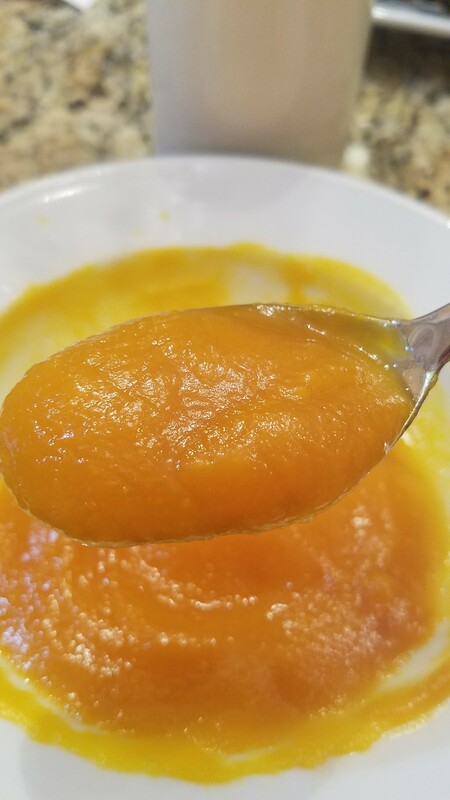 I don’t know how you take a picture of orange butternut squash soup and make it look good…this looks a little bit like jelly..
Hopefully you can make your spoon of heaven too. Love you angel Mom. I bet you’re right thanks for the tip:) and good ideas for it also! Hope you feel better soon. I also enjoy the frozen blocks of acorn squash. It’s with the frozen veg. You could thin it for soup or sweeten it as a side. So easy and it’s just squash nothing added.